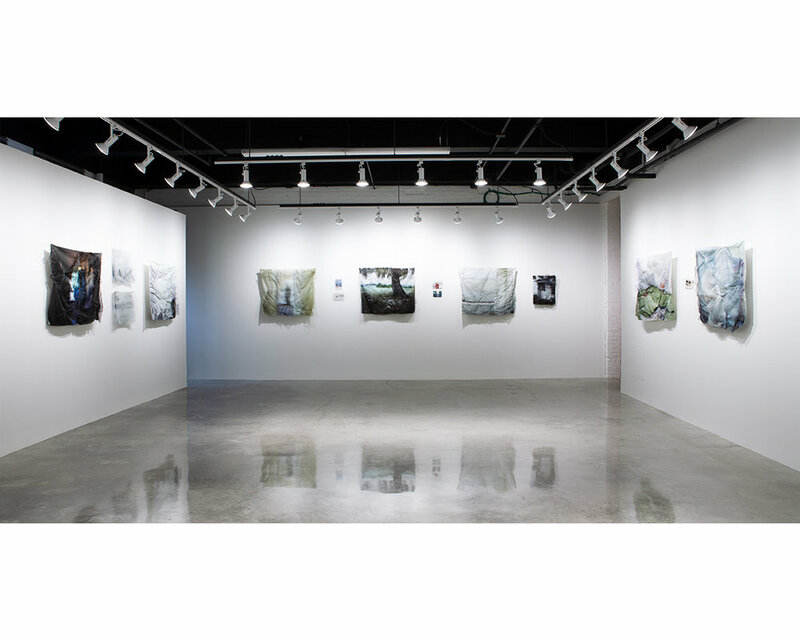 Unmended is an exploration of familial legacy in the aftermath of loss. The pieces in this series, photographs of my deceased grandparents’ farmhouse in the years before and after their passing, represent a home in transition through the stages of grief and acceptance. 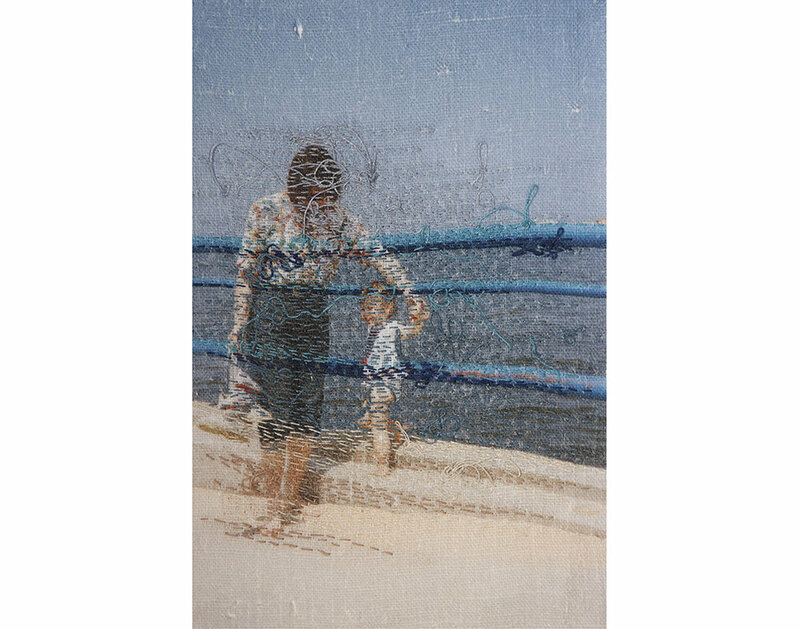 Unmended merges photographs, textiles, and hand embroidery to express a looming fear of memory loss. In an attempt to hold close the memories associated with this place, photographs are layered and mended together in an effort to repair what is easily forgotten. Photographs are prompts for recollection; they are taken in anticipation of forgetting. 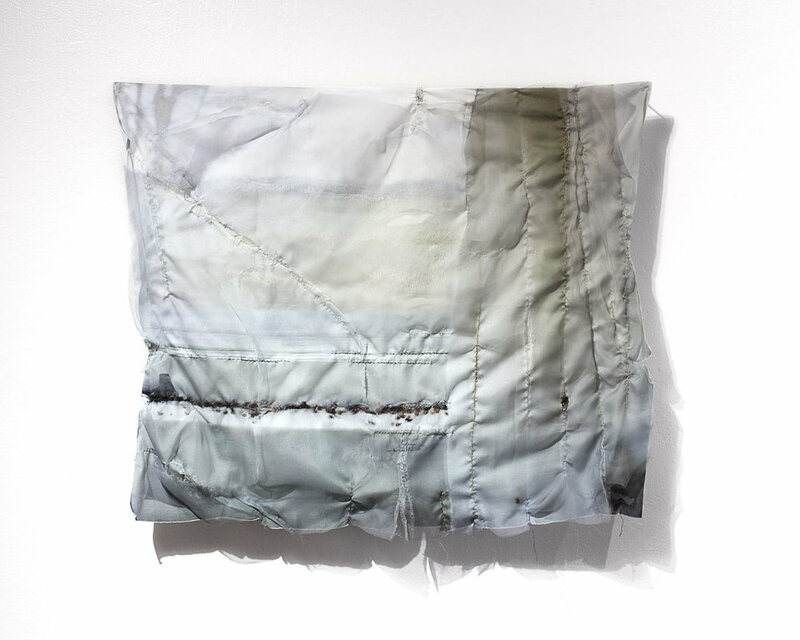 Unmended employs images that are printed on cotton and silk organza and mended with pensive stitching to elicit interplay between familial legacy and loss. 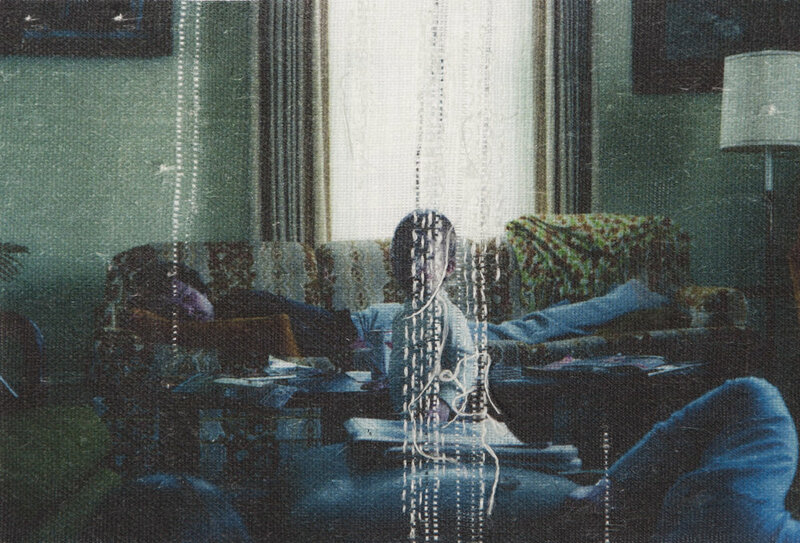 The accumulated stitches obscure and repair parts of the photographs, serving as a metaphor for how memories can become altered and indistinct when revisited. The intimate and delicate stitching atop the structure of layered textiles and imagery provide a personal and visceral representation of my relationship with the imagery and memories encapsulated within each piece. 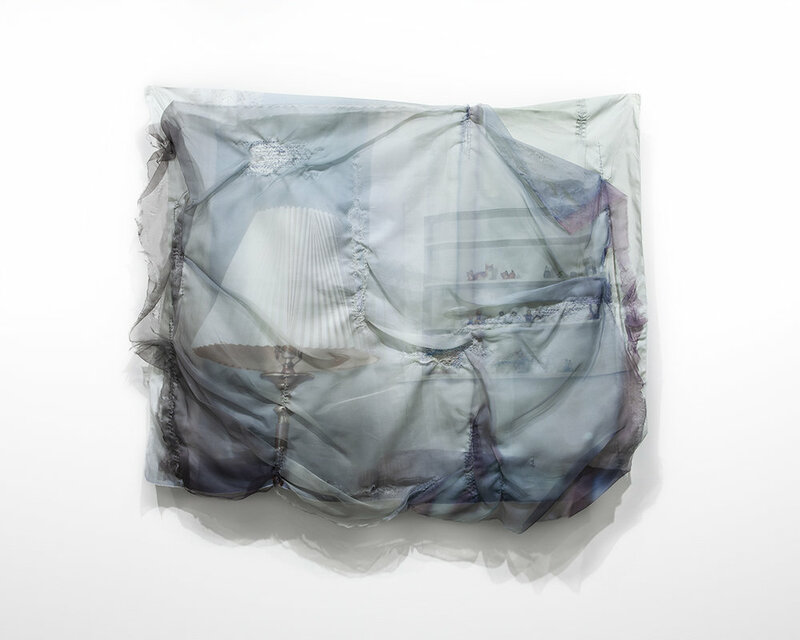 The layering of textiles, photographs and thread makes the images less legible, confusing time and space, and illustrating the fragile and impressionable nature of memory.